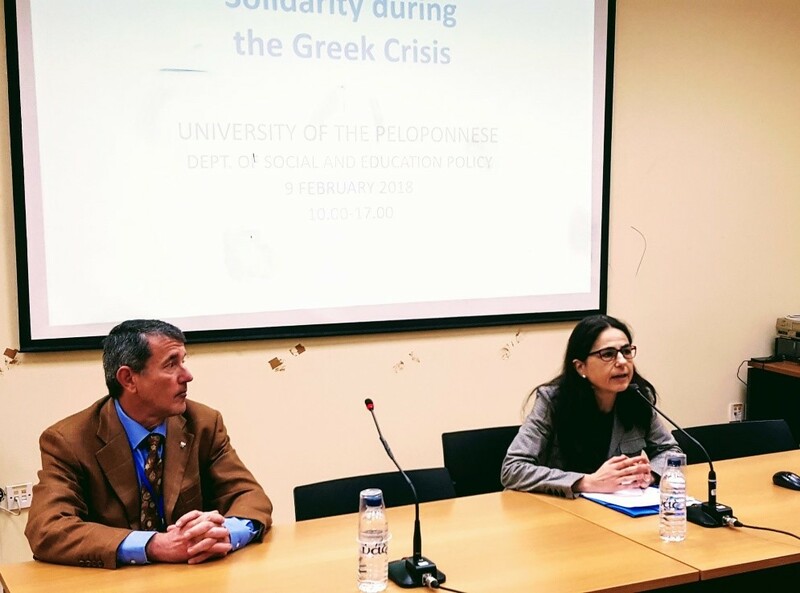 On 9th February 2018, the third European Seminar on Solidarity, specifically ‘Solidarity during the Greek crisis’ took place. Held in the University of the Peloponnese in Corinth (Greece), speakers from different fields and disciplines came together, including policy makers, civil society members and academics. The day consisted of four separate sessions focusing on different themes: the Greek Crisis, the ‘Refugee crisis’, trafficking and early conclusions from the SOLIDUS project. The first session focused on solidarity actions during the Greek Crisis. Firstly, an overview was provided of the past and current situation by Professor Dimitris Venieris (University of the Peloponnese) who discussed ‘Dismantling and Inventing Solidarities during the Greek crisis’. Transformations in solidarity practices were explored, with Professor Venieris addressing pre-crisis /post-war solidarity notions, the implications of austerity and the inventing of solidarity ‘at home’. Professor Dimitri A. Sortiropoulos (University of Athens) further explored examples of changes in civil society, leading a talk on ‘The need for civil society in Greece under the crisis and beyond the crisis’. Distinct differences in civil society responses were presented, with the sustainability of such examples analysed. Doubling the Crises – Solidarity and policy responses to the refugee crisis. Greece has been a focal point of the refugee crisis, so of course, solidarity responses in this context are important to explore. Thus, the second session discussed the topic, exploring the situation, the policy responses and the responses from civil society. 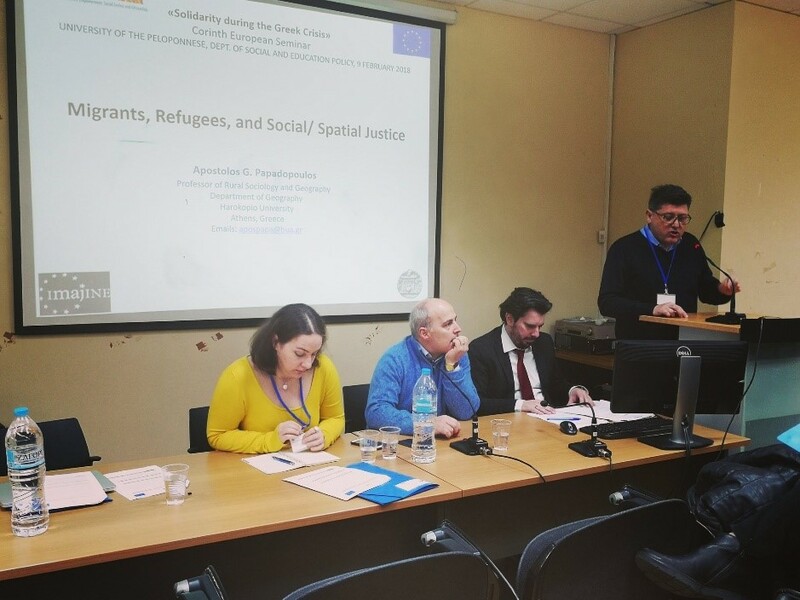 Professor Apostolos Papadopoulos (Harokopio University) began the session with a discussion on ‘Migrants, Refugees and Spatial Justice’. Theoretical arguments were presented, addressing both the past and current contexts and the changing nature of spatial justice. Miltiadis Klapas (General Secretary, Greek Ministry of Migration Policy) then detailed policy responses specific to Greece. Here, solidarity was explored at the political level, with a focus on how policies are addressing the issues of inclusion and integration. 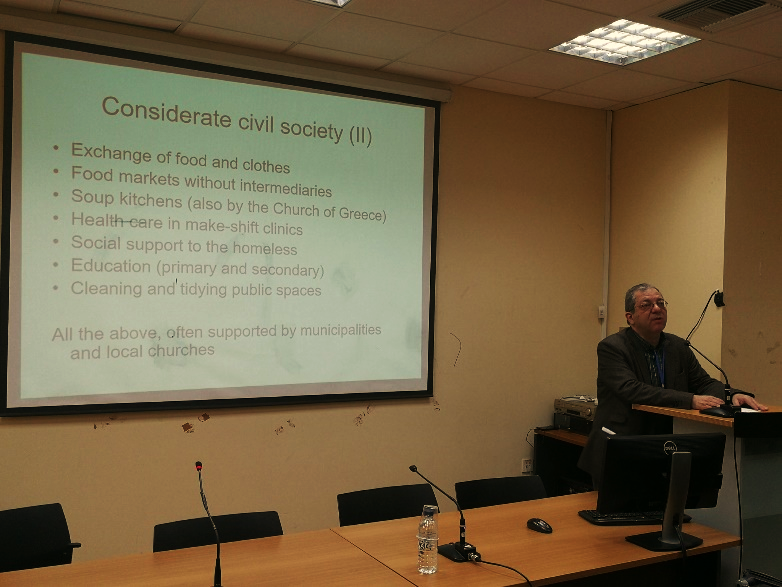 Dr. Aposotlos Veizis (Medicines without Borders) provided further exploration of this at the level of civil society. 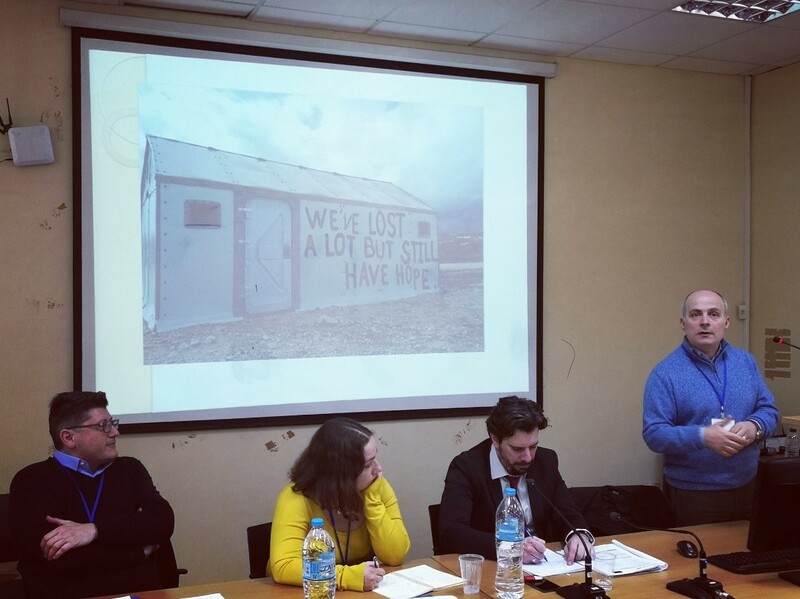 Dr. Veizis addressed the difficulties the organization faces in its operation, as well as demonstrating their success and ability to show solidarity with thousands of migrants, including those newly arrived and those who have been living in camps. Emphasis was given on the need to show more solidarity with vulnerable groups, with Dr. Veizis calling for an understanding that solidarity is more than just economic gifting. Following this, International Organisation of Migration coordinators Marianna Pateraki (Field Coordinator, IOM) and Ioannis Baveas (Project Coordinator for Education/Transportation, IOM) presented their work on refugee inclusion. Educational inclusion was demonstrated, with the coordinators discussing a recent project of helping refugee children access mainstream education. Deputy Director and Head of Advocacy of Human Rights 360, Eleni Takou, then tied the two sessions together, calling for increased collaboration between governmental and non-governmental organizations. Although it was acknowledged that under the particular circumstances in Greece the relationship between the two entities can often be difficult, a convincing argument about how they can complement each other was put forward. Solidarity initiatives and Trafficking- a case study from Cyprus. The afternoon began with an informative session on the situation of trafficking and gender in Cyprus. Introduced by Professor Miranda Christou (University of Cyprus), an overview was given in regards to the past and current context. Situations were detailed which have led to policy changes, demonstrating an overview of gradual improvement. However, it was clear that there is still a long way to go and much more work is needed to combat this issue. 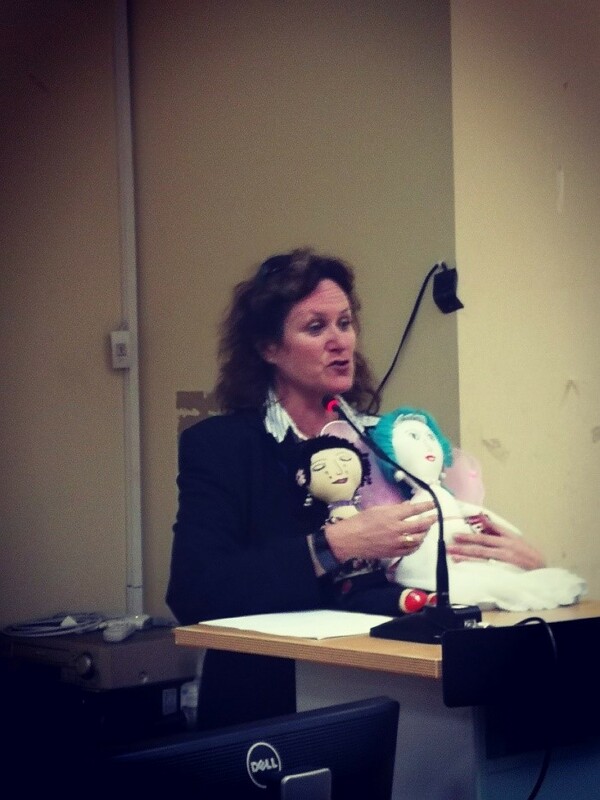 This overview set the scene for Nicola Smith, director of SOLIDUS case study, Freedom Dolls Initiative to describe the vital work they engage in. 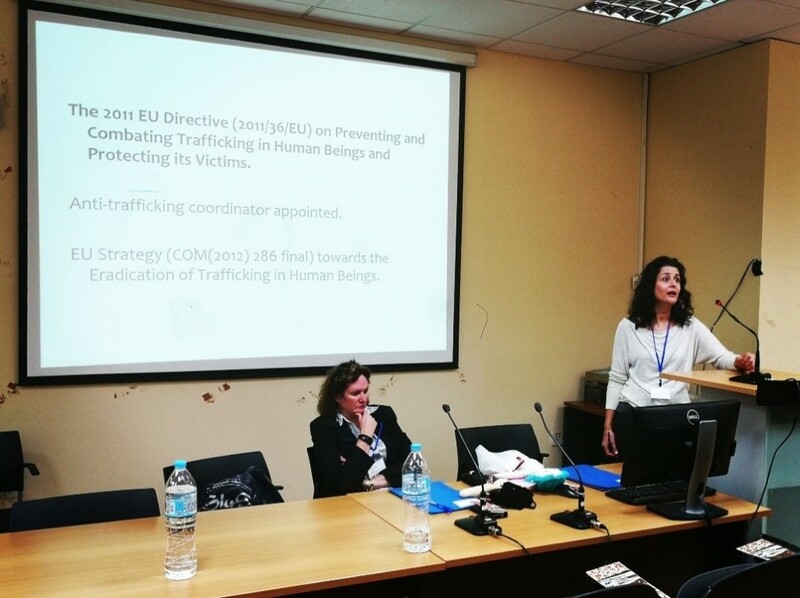 Numerous examples of situations where the initiative has intervened and helped victims of trafficking were detailed, emphasising the gap left by policy and the vital need for the project. Nicola demonstrated how the group shows solidarity via the aid they provide for the social inclusion of trafficking victims. 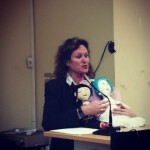 In this sense, Nicola described a key element of the project, providing the opportunity for victims to engage with employment and emotional therapy by creating and selling ‘freedom dolls’. The seminar came to an end with a brief overview of the initial findings from the SOLIDUS project. This involved academics working on the project presenting conclusions about a variety of areas that make up the project. Firstly, Professor Kathleen Lynch (University College Dublin) presented a conceptual overview, detailing the possibilities and challenges it presents for Europe. Qualitative findings in regards to activating social citizenship were then presented by Professor Bjorn Hvinden (Oslo Metropolitan University), detailing the results from the SOLIDUS focus groups. Lastly, project lead Professor Marta Soler (University of Barcelona) introduced contributions found from SOLIDUS’ work in terms of the existence of solidarity practices. Here, it was shown that despite times of crisis and difficulty, solidarity initiatives are very much alive across the EU with many citizens actively wanting to engage with them.